The concept of human security is based on the recognition that all persons are subjects of dignity and rights. Throughout history, different schools of thought converged in the generation and evolution of the consciousness of human rights, which were formally recognized in the Universal Declaration of Human Rights. Although some authors proclaim and defend the monopoly of western civilization on the development of the concept of human rights, the human rights consciousness has remote origins and developed with contributions from different schools of thought, especially those based on different religions, philosophies and law schools (Beitz 2009). With this perspective, it is possible to identify a first historical stage in the origin and development of human rights in religious and classical philosophical trends on natural rights, which recognized people as endowed with innate, absolute, universal and inviolable rights. What cannot be denied is that Western Civilization manifested a greater articulation and juridical-political implementation of religious-philosophical ideals (Perry 1998). The leading religious traditions, like Hinduism, Judaism, Buddhism, Confucianism, Christianity and Islam, in spite of their differences, contradictions and conflicts, share the same vision of and commitment to respecting the dignity of all people and the resultant task of fraternity, solidarity and protection of the defenseless and least protected (Gordon 2003). Diverse philosophical traditions, sharing a rational perspective and not religious elements, also made significant contributions to developing the consciousness of the universality of human rights, by developing concepts of human nature, natural law, natural rights, social justice, moral responsibility and the role of governments in the defense and protection of their citizens’ rights. Among these traditions, those that stand out are the schools of moral Confucian philosophy in China, the Babylonian school promoted by Hammurabi, and the different philosophical schools of Egyptian, Hindu and Persian civilizations. There are also concepts similar to these philosophical schools of thought found in African and pre-Columbian American oral traditions and civilizations with regard to issues of human dignity, social justice and the protection of individuals against the arbitrary use of power and abuses by political authorities (Gordon 2003, 10-11). These elements, which were present in ancient philosophies, were added to Western philosophies, with special emphasis on concepts of moral justice that transcends particular circumstances and political systems, and the need to respect the human nature of each individual. These concepts were already developed by classical Greek philosophers, including Plato and Aristotle, as were the concepts of natural law and human dignity. The notion of universal justice is based upon these concepts developed by Roman Stoic philosophers, including Cicero and Justinian. As was already mentioned, all these schools had greater impact than their predecessors by better articulating their philosophies and legal concepts and implementing them in public life (Rosenbaum 1980). While religious and philosophical doctrines enriched the theoretical dimension of human dignity and consequent universal responsibilities and obligations, the concrete practice of these concepts and their application in the political, economic, social and intellectual arenas over centuries generated theoretical and practical changes that translated into laws in different civilizations. Among them, it is necessary to mention Hammurabi’s Code and the remarkable legal body developed by Roman law that distinguished Ius Gentium (law of peoples) from Ius Naturae (natural law). According to them, the laws of peoples derive from the nature of peoples themselves and not from the state. They also establish specific responsibilities and universal rights that are extended to each and every human being, members of a worldwide community understood as an “all” (Langlois 2009). 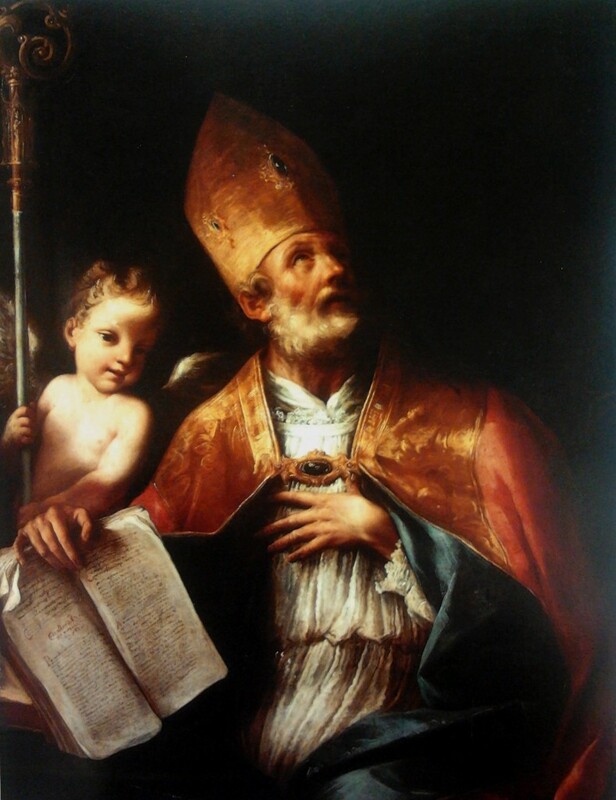 During Medieval Times, Catholic theologians and philosophers strengthened the consciousness of the universality of human dignity and equality, based on natural law, in Western civilization. In this context, the contributions of Saint Augustine and Saint Thomas Aquinas were fundamental to developing a synthesis of elements from classic Greek philosophy and Christianity based on the theory of natural law, which recognizes the individual rights of each person independent of the state to which he or she belongs (Battistella, 2009). A second stage, in which there was a monumental advance in the vision and consciousness of human rights, would be identified by the five centuries that comprise the Renaissance, the Reformation and the formation of national states, entering into the Enlightenment, the independence of the United States of America and the French Revolution. During this time, from a rational and enlightenment philosophy and an ius naturae legal perspective, individual rights and freedom were privileged, and in some cases became absolute. In this context, the ius naturae contributions of Erasmus of Rotterdam stand out. He wrote about concepts of justice, equality and individual liberty as natural rights, which the state was obligated to protect and citizens to respect. Francisco Suárez and Hugo Grotius also deserve special mention. Suárez explored the universality of natural law and the uniting nature of the law of peoples. Grotius examined independence and natural law with respect to a given political or religious power and the resultant need to recognize the natural rights of all people who, because of their shared humanity, should be treated in a just and equal manner, independent of their religious or civil status (Giraldo 2010). Subsequently, John Locke highlighted the natural rights to life, liberty and private property, which should be protected by governments (Locke 1947). Jean-Jacques Rousseau, Voltaire, Denis Diderot and Montesquieu wrote on the natural, inalienable and unalterable rights of all people to equality, liberty and solidarity, which governments must pledge to protect and respect through a social contract. All these contributions merged and helped bring about the English, American and French Revolutions. Through them, natural law, which deals with human rights and is therefore confined to the field of ethics and political philosophy, entered into the realm of positive rights,which become effective through laws and legal systems. The US Declaration of Independence in 1776, affirming the right of American colonies to break away from the British Empire, appealed to the inalienable human rights to life, liberty, happiness and popular consent for legitimate government (Smith 2010). The Declaration of the Rights of Man and of the Citizen, approved during the French Revolution in 1789, endorsed the end of the absolute monarchist regime and its replacement with a liberal constitutional system based on popular sovereignty, equality under the law and natural, inalienable and sacred rights of man, whose basic entitlements were liberty, private property, security and resistance to oppression, and political and civil rights (Ososuna 2001). These two declarations, which merged the political philosophies of liberalism and individualism, became the foundation not just for the abolition of absolute monarchies and the establishment of states of law in Europe, but also for the establishment of constitutions of former European colonies, which evolved into independent national states and for the majority of modern liberal constitutional democracies (Touraine 1992; Habermas 2000). The promulgation of human rights in national constitutions had a profound impact on making significant efforts to protect human dignity and defend human security and justice starting in the 19th century. Chief among these advances were the abolition of the slave trade, the increase in religious groups and civil society organizations committed to providing aid to the exploited, the excluded and migrants, and creation of the International Committee of the Red Cross to help those wounded in war. On the other side, formal protections of human rights provoked opposing reactions from different societal sectors with hierarchical interests, oligarchical privileges and with racial or gender prejudices. Opposition also came from governing authorities (emperors, monarchs, prime ministers and presidents) who considered human rights a threat to the principle of national sovereignty and therefore to domestic sovereign jurisdiction, which they interpreted to be free from any external or international interference. The grave upheavals produced by the two World Wars led to the creation of the UN and to enactment of international laws to safeguard human rights, beginning with the Universal Declaration of Human Rights of 1948. 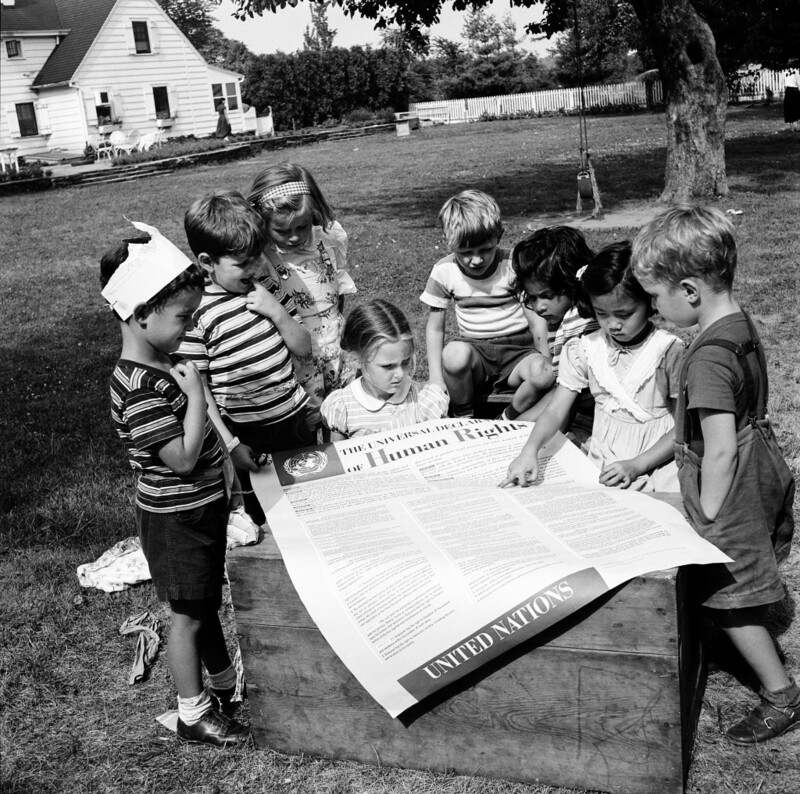 The Declaration ushered in a new era in the evolution of human rights that would drive the development of the consciousness of human security (Campagnoni 1995). The Declaration is not a legally binding document. However, through the general acceptance and practice of its principles as law, it has become the Magna Carta and internationally recognized legal and ethical framework for international, regional and national human rights mechanisms. It also serves as a source for other international and regional declarations and conventions on human, civil, political, economic, social and cultural rights (Steiner, Alston and Goodman 2008). This third stage of human rights development has continued the consolidation of human rights in international and domestic law inspired by the 1948 Declaration. The Charter of the United Nations, containing in its preamble not the traditional language of plenipotentiary nation-states but of the “peoples of the United Nations,” announced peacekeeping and the security of peoples to be the primary functions of the new organization. Its first article proclaimed universal respect for fundamental human rights and liberties as indispensable conditions to peace and security. In this manner, the UN Charter bound itself to the issues of security and peace, universal respect for human rights and, by definition, constraints on sovereign power (Battistella, 2009). The growth of consciousness between civil society organizations, rights activists, and supporters of self-determination had a crucial role in the decolonization process. From the end of the 1940s to the 1970s, numerous African, Asian and Caribbean countries became independent from their British, North American, French, Dutch or Belgian empires. The apartheid regime was also abolished in South Africa. The retrenchment of the concept of absolute sovereignty during the Cold War era sparked a process of systematic persecution of human rights activists and defenders, who were considered insurgents and a threat to national security. In this climate, the UN General Assembly adopted the 1970 Declaration on the Strengthening of International Security, which reinforced the interdependence of international security, human rights and development, overcoming the national security logic linked to the use of armed forces. With the end of the Cold War and the worldwide process of democratization, civil society organizations and international agencies assumed a fundamental role in denouncing human insecurity and lack of protection and security, as reflected in violence, hunger, poverty, preventable illnesses and man-made disasters. In this context, starting in the 1990s with the help of different initiatives and the contributions from different disciplines, including the fields of development, international relations, political economy, legal philosophy and human rights, a process began to reform the concept of security. From its traditional focus on the protection of sovereignty and state territory against external and internal threats, security began to evolve as a concept that placed individual security as a top priority. This paradigm shift propelled the UN Development Programme to coin the term of “human security,” concerning itself with the population’s security and not the territorial sovereignty of countries (UNDP 1994). In this paradigm shift, the role of the state in security matters is to collaborate with the social and political actors of its territory, as well as those of other states, in order to promote human security, rights and development for all people. In this sense, human security becomes a sine qua non condition for the legitimacy of national security (Aiken 2009). 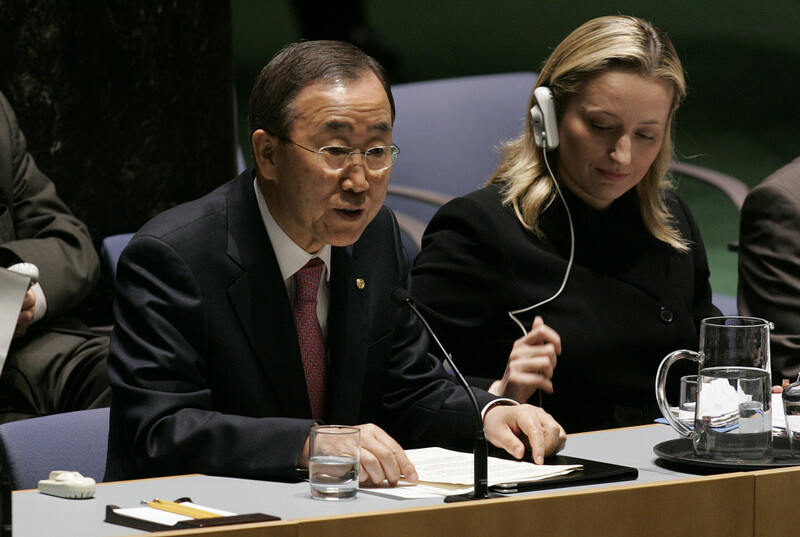 The United Nations Secretary-General offers opening remarks to the General Assembly prior to a morning session panel discussion on “People-Centered Approaches: the Added Value of Human Security”. The text of the Declaration on the Strengthening of International Security, adopted on 16 December 1970 by the United Nations General Assembly, is available at http://www.un-documents.net/a25r2734.htm. Aiken, Nevin (2009) “The (Re)Construction of a Culture of Human Rights: Transnational Justice and Human Security”, in Human Security Journal, Vol. 8, 10-18. Battistella, Graziano (2009) “Migration and Human Rights: the Uneasy but Essential Relationship”, in Ryszard Cholewinski; Paul de Guchteneire; Antonoine Pécoud, Editors, Migration and Human Rights: The United Nations Convention on Migrant Workers´ Rights. Oxford University Press, Oxford, 47-68. Beitz, Charles (2009) The Idea of Human Rights. Oxford University Press, Oxford. Giraldo, Javier (2010) Derechos humanos y cristianismo: trasfondo de un conflicto. Editorial El Búho, Bogotá. Gordon Lauren, Paul (2003) The Evolution of International Human Rights: Visions Seen. Second Edition. University of Pennsylvania Press, Philadelphia. Habermas, Jürgen (2000) Teoría y praxis. Tecnos, Madrid. Goodhart, Michael, Human Rights: Politics and Practice. Oxford University Press, Oxford, 11-25. Locke, John (1947) Two Treatises of Government. Hafner Library of Classics, New York. Ososuna Fernández-Largo, Antonio (2001) Teoría de los derechos humanos: conocer y practicar. Editorial San Esteban, Salamanca. Perry, Michael (1998) The Idea of Human Rights. Oxford University Press, New York. Rosembaum, Alan, Editor (1980) The Philosophy of Human Rights: International Perspectives. Greenwood Press, Westport. Smith, Rhona (2010) Textbook on International Human Rights. Fourth Edition. Oxford University Press, New York. Steiner, Henry; Alston, Philip and Goodman, Ryan (2008) International Human Rights in Context: Law, Politics and Moral. Third Edition. Oxford University Press, Oxford. Touraine, Alain (1992) Critique de la Modernité. Fayard, Paris. United Nations Development Programme (1994) Human Development Report 1994. Oxford University Press, New York.